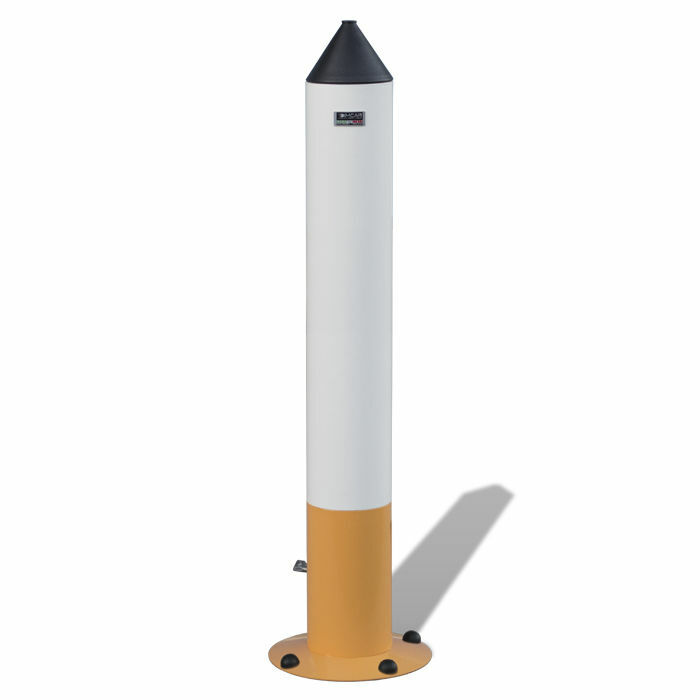 Pedestal ashtray / galvanized steel / outdoor / for public spaces - FUM-OFF 375 - DIMCAR s.r.l. Contemporary urban design ashtray, Fum-Off model. It is made of galvanized steel round tube and has a system that facilitates the switch off of the loops during their fall. The top is complemented by a galvanized steel sheet cone trunk with upper beaded edge used for the insertion of the bosses. 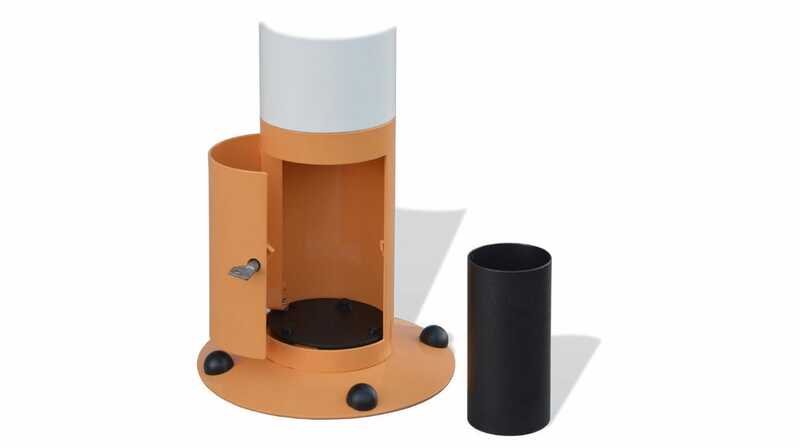 In the lower part there is a fixing plate on the circular ground provided with holes for fixing to the ground, furthermore, the bottom of the shaft is provided with a single-key openable door opening allowing access to the inner container To empty it. 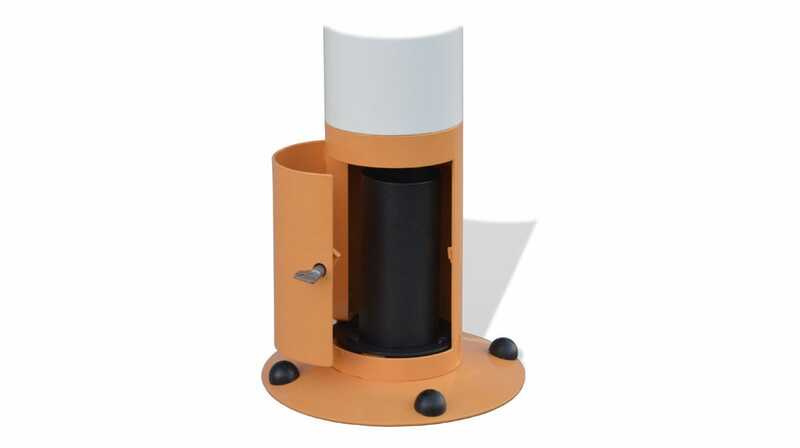 The basic finish for this product is composed of three colors, specifically: the gun barrel color used in the cone trunk of the top and in the inner container, white traffic color, RAL 9016, used for the top of the stem and the color yellow Pastel, for the bottom of the stem. The customer may, however, require a different finish, chosen from the RAL colors available on our website. The thermosetting powder coating technique with baking.